Last year we were hit hard by winter, and preparing for the worst is something we should all do. Propane is an excellent fuel source, and readily available in our area to keep your home comfortable all season long. Here are four reasons to heat your home with propane this winter. Propane can power virtually anything in your house that runs on electricity. From your stovetop and larger kitchen appliances, to heating your entire home, propane is economical and efficient. Interested in saving money? National data from the US Department of Energy show the cost of electricity is twice the cost of propane. That sounds like an incentive. Nearly 5 percent of all households heat primarily with propane. Why? Since propane comes from natural components, natural gas and petroleum, it’s readily available, even when in high demand (peaking during the winter). About 90 percent of propane used in the US is produced on our soil. Did you know propane tanks are environmentally friendly, and can store safely for up to 40 years? In a pinch, you can have propane delivered to your door, have your tanked filled up, and fill up a storage tank for use in an emergency. It’s reliable, durable, and convenient. Event better… tanks require very little maintenance. If we were tallying safety scores on home heating fuels, propane might just find itself atop the list. Propane has a very strong safety record. This has to do, in large part, with the strict guidelines imposed by the National Fire Protection Agency (NFPA). As long as drivers, technicians, and propane users follow safety guidelines, there’s very little to worry about when it comes to propane safety. 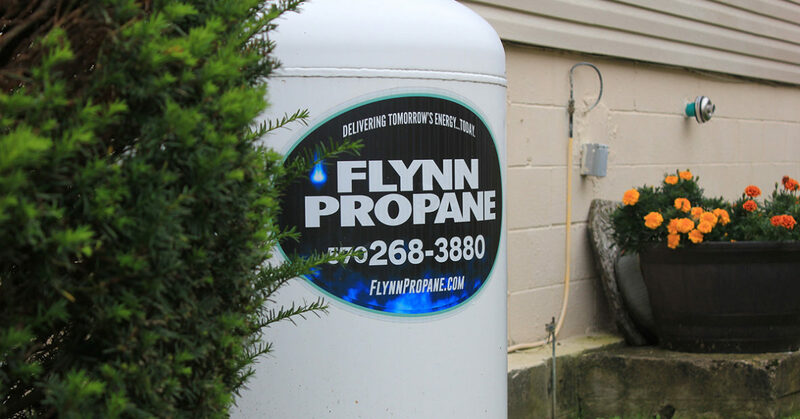 Flynn Energy offers reliable propane delivery at competitive prices to residents in northeastern Pennsylvania. Contact us today to learn more and to sign up for propane delivery.